Oct. 2014 - : Director of the Research Centre for Civil Engineering Structures, City University London. March 2013 - : Professor, Dept. 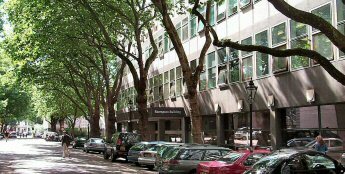 of Civil Engineering, City University London. May 2002 - Feb. 2013: Professor, Dept. of Civil Engineering, AUTh (Aristotle Univ. of Thessaloniki). Oct. 1998 – June 1999: Reader of Earthquake Structural Engineering at the Dept. of Civil Engineering, Imperial College of Science, Technology and Medicine, London. May 1995 - Sep. 1998: Lecturer of Earthquake Engineering at the Dept. of Civil Engineering, Imperial College of Science, Technology and Medicine, London. Sep. 1992 - March 1998: Assistant Professor at the Dept. of Civil Engineering, AUTh; on leave in 1995-96 and part-time since 1997-98. June 1988 - Aug. 1992: Lecturer of Concrete Structures at the Dept. of Civil Engineering, Aristotle Univ. of Thessaloniki. Sep. 1983 - Feb. 1984: Visiting Research Fellow at the Univ. of California, Berkeley. May 1981 - June 1988: Teaching and Research Assistant and, since 1986, Research Fellow at the Laboratory of Concrete Structures, Civil Engng. 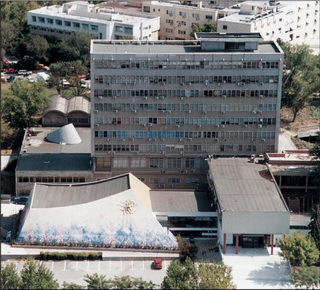 Dept., Aristotle Univ. of Thessaloniki. Nov. 1979 - Oct. 1980: Teaching and Research Assistant at the Chair of Structural Analysis, Civil Engineer­ing Dept., Democritus Univ. of Thrace (DUTh), Xanthi, Greece. “Reinforced Concrete III” (8th semester - core course); since 1988. "Earthquake-resistant Design and Seismic Pathology of Concrete Structures” (9th semester - optional); since 1987. “Earthquake-resistant Design and Seismic Assessment of Concrete Structures”, Post-graduate course; since 1998. "Non-linear Analysis of Concrete Structures” (10th semester - optional); since 2008. “Modern Methods in Concrete Design” (7th semester - optional course); 1987-1992. “Earthquake Engineering” (undergraduate 4th year course) 2nd term, 12h. “Assessment of Seismic Vulnerability of Structures” (MSc Course in Earthq. Engng. & Str. Dynamics), 2nd term, 10h. Delft University (The Netherlands): “Earthquake Εngineering – Modelling Concepts and Structural Design according to Eurocode 8”, since 2003 (every 2-3 years). Techn. University of Bucharest (Romania): TEMPUS CESNET Course “Aseismic Design of Buildings”, 1997. Techn. University of Vienna (Austria): COMETT Course / EAEE Seminar “Seismic risk and earthquake scenarios”, 1995. Since 1985: Invited speaker in over 60 seminars and continuing education courses for practising engineers, organized by various professional, governmental and educa­tional institutions, on various subjects in the field of Concrete Structures and Earthquake Structural Engineering (in Greece, the UK, Austria, Bulgaria, Cyprus, Holland, Italy, Romania, Turkey). M. Alexoudi “Contribution to the analysis of the seismic vulnerability of lifelines in urban environment”, PhD awarded in Nov. 2005. S. Mitoulis “Concrete bridges with continuous deck slab” PhD awarded in Mar. 2008. S. Argyroudis “Seismic vulnerability assessment of transport networks and infrastructures” PhD apporoved July 2010. P. Kumar, PhD thesis “Behavior of integral abutment bridges under temperature effect and seismic excitation”, India Institute of Technology, Kanpur, 2008. R. Apostolska-Petrusevska, PhD thesis “Application of High-strength Concrete in Design of Seismically Resistant Structures”, University Ss. Cyril and Methodius, Skopje, 2003. S. Koukleri, PhD thesis “Inelastic earthquake response and design of mutlistorey torsionally unbalanced structures” University College, London, 2000. L.M. Salvitti, MPhil thesis “Analytical assessment of EC8-designed buildings” Imperial College, London, 1998. Α. Kotsoglou, DUTh (Modelling interaction of bridge with surrounding ground in the framework of displacement-based seismic design), 2009. Ι. Arethas, AUTh (Nonlinear static analysis of cable-stayed bridges using truss models, 2009). V. Tsiggelis, AUTh (Comparative assessment of simplified methods for pushover analysis of structures subjected to earthquake loading, 2009). A. Ambatzis, AUTh (Pushover analysis of metal structures under seismic loading, using direct plasticity methods, 2008). T. Valiasis, AUTh (Cyclic loading of infilled R/C frames-Experimental study and analytical model for the infill, 1989).